Extra Super Deluxe Wig with exclusive highest quality ! This Super Deluxe Wig gives you full, silky and glossy hair just like real human hair! 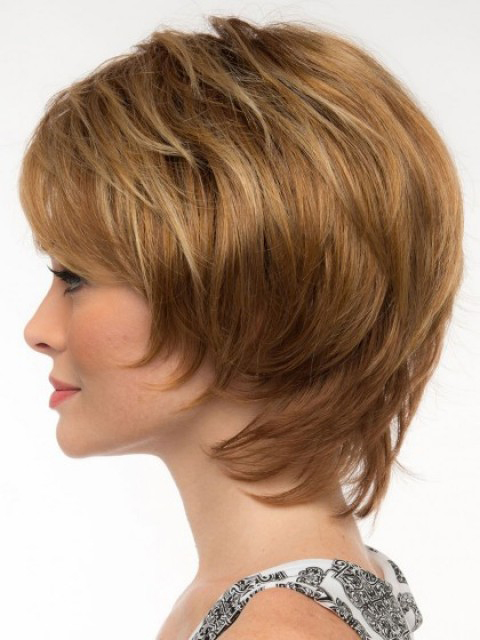 Amazing short Wig in elegant light brown with wonderfully blonde highlights ! A Must Have for every Lady ! Feels very like human hair and scalp, true-to-life in every detail. High quality hand made wig by professional skilled workers. The hair looks and feels real, soft, shiny and smooth like real hair. The hooks inside the wig are fully adjustable for the perfect fit. Ventilative, comfortable for daily wear. Easy to wash and care: You can wash it completely with cold water and a mild shampoo and then re-style it the way you like it. So this wig is the perfect accessorie that you will enjoy for years. High quality wig made of 100% Kanekalon.